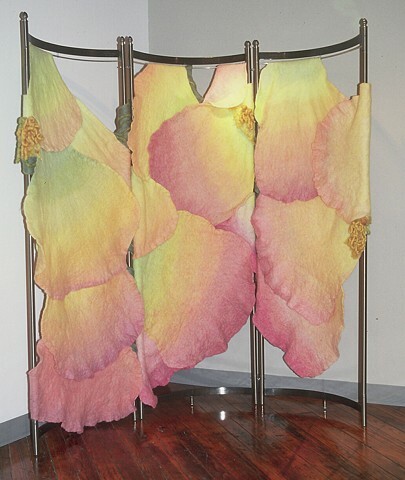 76" x 58" x 34"
A handmade felt screen which works as a corner piece or room divider. It was made of dyed unspun wool and yarns, and is based on Peace rose petals, with soft vines and thorns on the back. It can be positioned into a gentle arc, or closed into a circle, and is cleanable by gentle vacuuming with mesh (provided).